If you are fans of EA FIFA, you will know that new FIFA 18 is not too far away from now. Usually,EA Sports will release the new FIFA series game at the end of September. Though the FIFA 17 redressed much bug and did a lot right, but there's still a lot that could be ameliorate. We collected 6 aspect that fans expect to be changed in new FIFA 18. Let's talk abut them. In FIFA 17, the rewards for winning games and leagues are not as suitable as you hope. Healing cards will cost several games worth of FIFA coins. 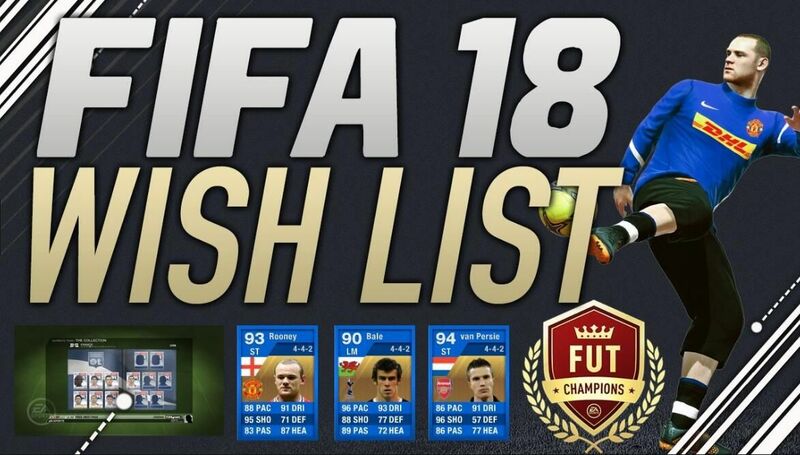 More FIFA 18 coins should be award for winning matches and D Seasons. If rewards were bigger then pack prices wouldn't seem as steep.Gold packs will cost you about 7,500 FIFA coins, if you are lucky you can get good player card. This result in the FIFA point more appealing, but they are grandiloquently expensive. Expect to pay nearly $102 real money for 24,000 FIFA points if you're trying to avoid wasting your hard-earned FIFA 18 coins. In real soccer life, if a player makes a run and result in offside, they'll be back away from the ball. However, in FIFA 17, this will never happen and they continue running until they're caught by the football referee. An extra AI level should really to be improve in FIFA 18. Some fans wish that contract and fitness cards should be removed from the game.If they are here to stay, we'd love to see squad contract cards.Instead of going through each player and offering them a contract, an ability to cover them all off with one fell swoop would be a master stroke. On Futhead, you can generate squad and use cards from any version of FIFA Ultimate Team by youself. it's will be pefect if this function is released in FIFA 18 Ultimate Team. Perhaps there could be a new Generations FUT draft mode by the time. FIFA 18 needs to give gamers the ability to switch players into another position while they're qualified playing. For example, you could switch regular CR7 from left winger to striker without having him on seven chemistry.